Summer is coming to town, it is high time to make a plan to get some more vitamin Sea. Going to the beach is not only about getting some suntan, or escaping from all the bustling city life, it is about exotic, extraordinary memories that you will keep until the end of your life. Therefore, choosing the destination for your upcoming summer holiday plays a tremendous role. To assist you in making the best decision, the following are some of the best places for a beach stay in Southeast Asia. If Ha Long Bay is not enough for your relaxation, take a trip to Ninh Van Bay. 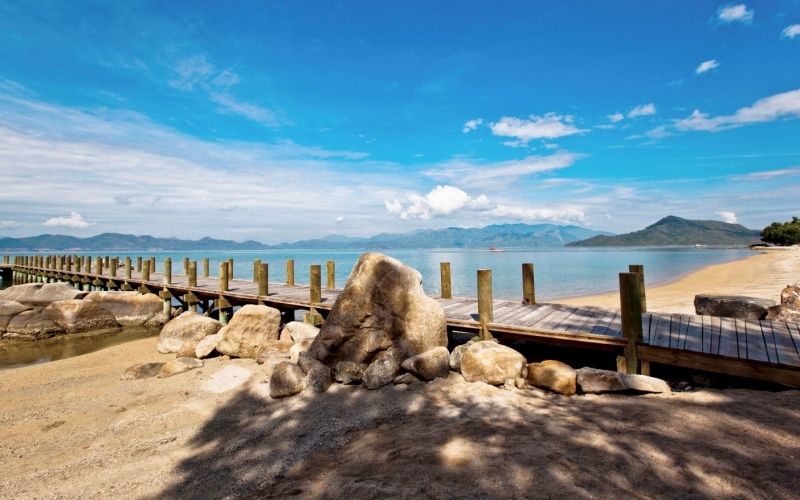 Set in the middle of Vietnam, about 2 hours from Nha Trang, this place offers a holistic rest of mind. Far away from mass tourism, Ninh Van Bay promises to give an exotic experience of Vietnam without heavy traffic. Often considered as A Sanctuary of Tranquility, Ninh Van seems to be an oasis in the young and dynamic Vietnam, a perfect combination between magnificent rock formation and tranquil turquoise sea. The secluded environment will make you fall in love at your first sight. Poetic landscape in Ninh Van Bay is such a special bonus for your honeymoon or just an unplanned trip with your partner. The clear water allows divers, both professionals, amateurs, to see the coral reefs clearly and become excited about sea creatures. A perfect date in Ninh Van would not complete without a sunset cruise, which gives you the chance to witness the significance of the Sun and the sea, followed by a romantic dining by the white sandy beach, you should feel like the happiest couple in the world. For the best stay in Ninh Van Bay, An Lam Retreats and Six Senses Ninh Van Bay are highly recommended. While Six Senses Ninh Van Bay is situated in a prime position in the calm and sheltered bay of Ninh Van, An Lam Retreats is built on Hon Heo Peninsula, still in close proximity to Ninh Van Bay. However, both offer luxurious, fully-furnished villas with significant views to the jungle rock or the pristine bay. 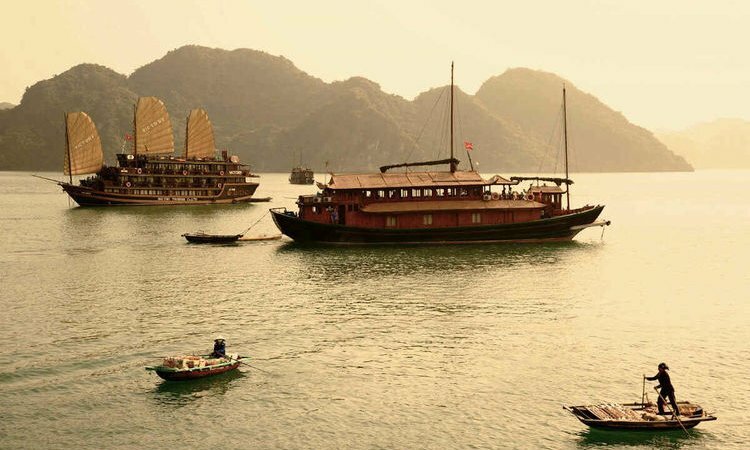 Each offers a diversity of activities and excursions on water and overland so that guests can have a comprehensive overview of not only the bay but also a part of Vietnam. “Travel-holics” must have heard of Phuket, a famous attraction for the beach stay in Thailand, however, Khao Lak is also gaining popularity recently. If Phuket is quite touristy and crowded, there is ample room for exploration in Khaolak. It is about 74 kilometers from Khao Lak Phuket International Airport and car rental is widely available so reaching Khao Lak is not a big deal any longer. In comparison with Phuket, Khao Lak is much quieter. But it is the tranquility has set Khao Lak apart, making it a perfect choice for your honeymoon. The utmost privacy together with the exquisite nature in Khao Lak makes it the best place for two of you to mark your next important stage. A couple of days staying in Khao Lak will be a valuable supplement for your love affair. Though not offering many dynamic activities, Khao Lak has its own way to satisfy travelers. Having a short walk around the peaceful beach to observe the sunrise and sunset or spending a dinner under the moonlight is some of the experiences to strengthen your family tie and connect every member. Participating in a scuba-diving class together is also a wonderful memory for you and your loved one. Among local resorts on Khao Lak, The Sarojin should not be ignored. Staying in The Sarojin, you are able to experience a luxury boutique which is personalized for yourself. 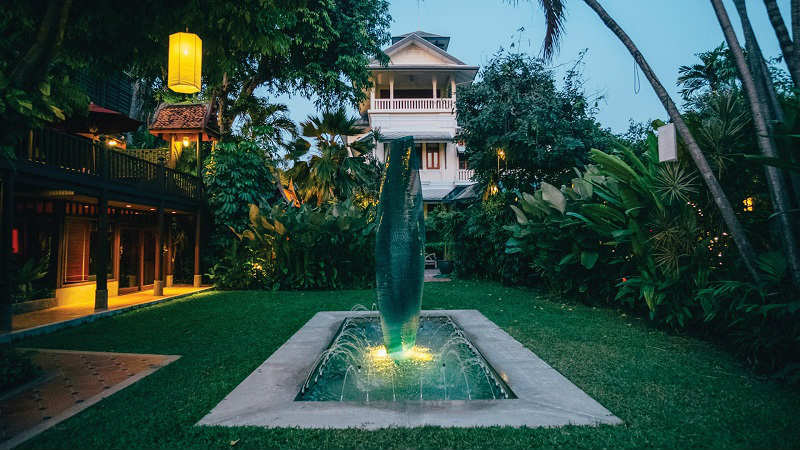 The resort also features one of the Top 10 Most Romantic Restaurants in Thailand, serving the most stunning contemporary Mediterranean and Thai cuisine with the finest wines. Personal guides or the so-called Imagineering team are always willing to make your honeymoon dream come true with tailor-made activities just for 2 such as dining on the lantern-lit shore, private charters on the luxury yacht. Recommended for you: Plan a remarkable journey with The Modern Take On A Classic James Bond, an adventure to retrieve an iconic movie of all time. During your time in Phuket, rent a car and drive to Khao Lak to enjoy the romance of this hidden charms. Situated on the Northern-most part of Palawan, El Nido beach is often called “gateway to sublime”. Although visitors can easily reach El Nido through El Nido Airport, the beach still retains from flocks of travelers and remain a place of natural beauty. What so special about El Nido apart from all the above-mentioned beaches is the stunning Bacuit archipelago where there are numerous limestone cliffs on which swift-lets build their nest. El Nido is well-matched with adventurous spirits. It is the start point for island-hopping trips, and kayaking journey to mountainous Cadlao Island. One of the must-do thing in EL Nido is to climb Taraw Peak to get a bird’s-eye view of El Nido and its horseshoe-shaped cove. 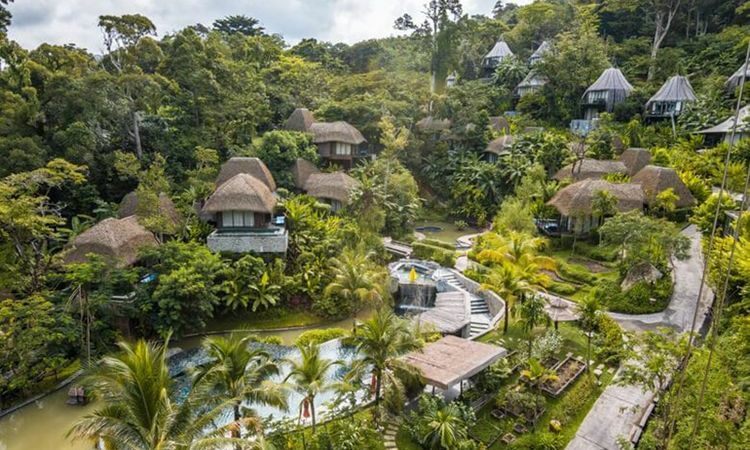 Being one of the most environment-friendly resort, El Nido resort highlight “nature-based activities low in carbon footprint and high in natural and cultural interpretation”. From the attention to green experience to visits to effort reinforce the community for the locals, El Nido resort deserves a visit by you. Recommended for you: If you are appealed by transparent water and enjoy diving by stunning coral reefs, have a look at Islands Hopping tour with various destinations at most beautiful beaches in Thailand. Or you can tailor your own adventure to El Nido with the help of Exotic Voyages’ travel experts right on the website. Another refuge in Thailand to get rid of the crowds is Koh Yao Noi, where you can get by ferries from Bang Rong Pier on the east coast of Phuket. 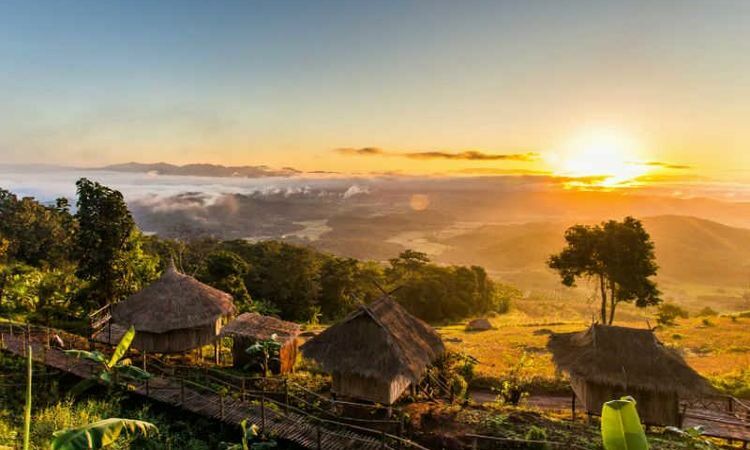 Koh Yao Noi received the World Legacy Award for Destination Stewardship from Conservation International and National Geographic Traveler magazine for the eco-friendly home-stay programs offered by its local residents in 2002. Since then, it has gained worldwide attention but the island still retains its pristine condition. Taking a drive around Koh Yao Noi, you will easily spot wooden houses on both sides. Sometimes, you see buffalos in the rice field, taking mud baths. The narrow roads on the island also lead you by the sea to watching mangrove forests standing upright every sunset or sunrise. Having the highest benchmark for island resort living in Asia, Six Senses Yao Noi should be the best place to stay in Koh Yao Noi. With special care to detail and high focus on unique features of the island, Six Senses Yao Noi brings a whole new experience for every visitors. Off the coast of Vietnam and in the Gulf of Thailand lies the top 2 “idyllic beach getaways around Asia”, according to CNN Travel. A flight of about an hour from Tan Son Nhat International Airport will bring you to a must-visit beach for sun-seeking tourists. Surrounded by translucent turquoise water, Phu Quoc stands out with dunes of beautiful white sand. 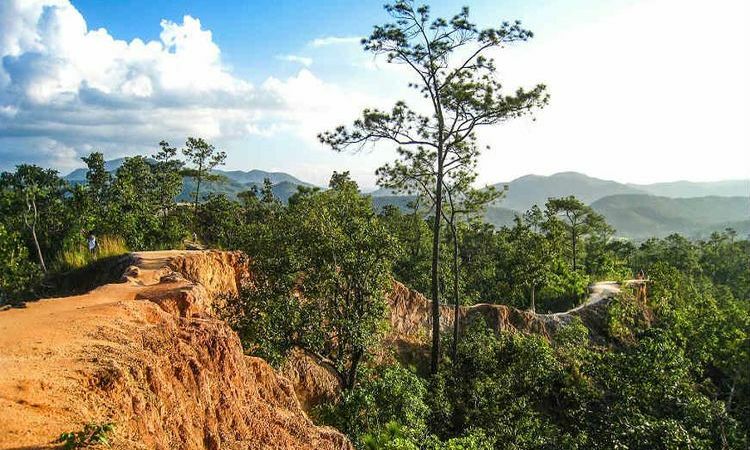 These unspoiled charms of Phu Quoc have made it one of the most popular for not only domestic but also international tourists. Besides, local residents on the island are the best representative for the hospitality and helpfulness of Vietnamese people. To promote tourism in Phu Quoc, Vietnamese authorities have passed the law allow visa exemption for travels under 30 days to Phu Quoc. If you plan to stay longer in Phu Quoc and Vietnamese visa is needed, visa upon arrival policy is really convenient. There are various activities you can get involved in during your stay in Phu Quoc. For adventure seekers, nothing can be more enjoyable than diving in the deep blue sea, kayaking in the bays or riding a motorbike through stunning coastal road. It is also fantastic to pay a visit to black pepper crops on the island and watch the process of making fish sauce, an essential seasoning in Vietnamese cuisine. A supplement to your stay in Phu Quoc would be an elegant and comfortable resort and Nam Nghi resort can be both. High commitment to environmental sustainability is the long-term vision of the resort, therefore, Nam Nghi resort is not only about modernity but also about preserving the untouched natural features. Recommended for you: Enjoy an “almost on water” tour with an Idyllic journey to Vietnam and Cambodia to explore top stunning beaches in Vietnam and discover Mekong delta and river. When it comes to top beautiful beaches in Southeast Asia, it is such a big mistake not to mention Nusa Dua, lying in Southern Bali, Indonesia. Just about 15 minutes from Ngurah Rai International Airport, Nusa Dua, which actually means 2 islands, has withdrawn a lot of public attraction. Bali, in general, is a place of aspiration with a lot to offer in terms of multi-religious culture, contemporary Balinese architecture and the locals’ generous hospitality. Nusa Dua, in particular, brings you a “tropically romantic” state of mind with dazzling sunshine streaming in every corner during the day and thousands of stars lighting above the sky every night. To stay in Nusa Dua is to get a different experience every day. The crystal sapphire ocean enables diving lovers to enjoy their interest to the utmost. Those who are somewhat idle can entertain by hanging around and visiting multiple temples here. Situated right alongside with Nusa Dua beach, Nusa Dua Beach Hotel and Spa provides top quality service that will go beyond your expectations. With the focus on Balinese culture decoration and furnishing in each room are totally Balinese authentic. To help the visitor to have a peace of mind, the hotel has terrace and balcony overlooking the stunning views of manicured tropical gardens or vistas of the ocean. Recommended for you: Everyone should pay a visit to Nusa Dua, however, it is especially suitable for couples or honeymooners because of the natural romance. Read through the honeymoon brochure to get the optimal idea for your loving trip. If you are looking for a sense of serenity and tranquility, you should definitely give Song Saa private island a try. Due to the high emphasis on privacy, traveling to Song Saa is not so easy. It takes a half an hour flight from Siem Reap to Sihanoukville (or 4 hours from Phnom Penh to Sihanoukville) and then 45 minutes on Song Saa's private boat to reach The “Sweethearts” (Song Saa in Khmer). However, all the hardship is totally worth. Red burning twilight, turquoise sea color, deep purple sunset, dark starry night are some of the numerous breathtaking scenes you can witness here. Not only the significant nature but the utmost convenience of the resorts and the exceptional friendliness of the locals will make you want to stay here a bit longer to discover the island's hidden beauty. 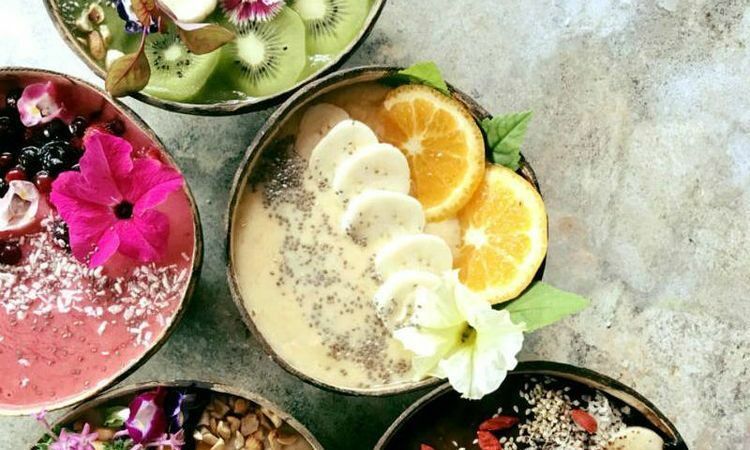 Song Saa will give a good treat to both mental and physical activities such as morning yoga class, meditation, snorkeling, scuba-diving or sea kayaking. To gain a deeper understanding of Cambodian, nothing could be better than joining a tour observe the local community and learning how to craft some of the traditional dishes. With a super luxurious price, Song Saa private island resort brings about a unique and extravagant experience for any visitor. It is more than a stay in a beautiful unspoiled beach, it is a chance to get a better connection with the Mother Nature and deeper engagement with local residents. Southeast Asia offers some of the most stunning beaches all over the world, thus, why not come to these above-mentioned beach stay to emerge yourselves into a seemingly endless parade of beautiful scenes.